If you care for fish properly, a disease rarely occurs. However, on those occasions when a fish does become ill, having information at your fingertips is critical. Here's your one-stop reference about fish health, disease, treatment, and prevention. For community aquarium fish, here are the 10 basic rules. Before introducing any fish into your tank, buy yourself a good water test kit. Ideally, it should contain tests for ammonia, nitrates, nitrites, and pH. Readings, except for the pH, should all read zero before introducing any fish. Make sure that the temperature in the tank is suitable for your chosen occupants. Freshwater (generally): 69 F (21 C) – 80 F (27 C). Marines (generally): 78 F (26 C). Filtration is the heart of any tank. It's the life source of the environment. You will need to know the species of fish you wish to keep and then do some homework about the types of waters and/or environment their natural habitat is and filter accordingly. There is an array of filters on the market and you will be sure there is one for your setup. Depending on the size of the tank and the intended occupants, filtration can be mechanical, biological or both. It can be air driven or power driven. Freshwater fish require a recommended 5 inches (13sq.cm) of surface area to 1 inch (1.2 cm) of fully grown fish. For a fish only setup, the ratio is 1 inch (2.5cm) of fish for 2 gallons (9ltrs) of water and for reef only, 1 inch (2.5cm) of fish to 7 gallons (27ltrs) of water. Ponds: 100 inches (250cm) of fish to 1320 gallons (5000ltrs) of water. Learn as much as you can about the species you intend to keep. Introduce fish into your new setup gradually. Overloading your tank will cause problems. Remember your filter will need to build up friendly bacteria to break down the byproducts from your fish. Do you really need to quarantine your fish or should you if you have space and the extra tank? The short answer is YES. Introducing new fish to a new system will invariably bring its own problems, so why risk it? Using the same water as the main tank, introduce the fish in the quarantine tank for a week or so. If there are no problems, then introduce them into the main tank. Twice daily is more than enough. 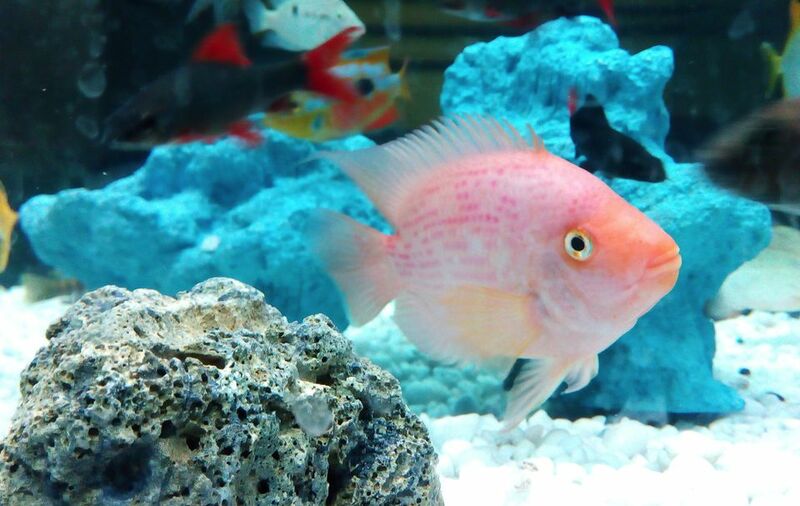 Only feed as much as will be taken within 3 minutes, otherwise, it will decompose at the bottom of your tank, causing other problems such as high phosphates and nitrates and unsightly algae. Perform regular water changes, around 10-15 percent every 2 weeks. It's good for your tank and your fish! Clean your filters regularly according to the manufacturer's instructions. Avoid cleaning the sponges in raw tap water; rather, use some of the water siphoned from the tank so the beneficial bacteria are not killed off and only the debris is cleaned away. These basic health practices will help you avoid serious health problems and recognize disorders when they do occur. Disease treatment must be specific to the disorder. These disease profiles include steps for diagnosis, treatment, and tips for prevention. Believe It Or Not, There Are Some Fish That Can Climb Trees! What Is the Scientific Name for Your Favorite Fish With the Letter T? How Long Do Bettas Usually Live and How Do You Keep Them Healthy? What Kind of Water Is Safe for Pet Axolotls? Do You Need to Use an Isolation Tank for Molting Hermit Crabs?